I experienced an ice dam resulting in water leaking into my home. 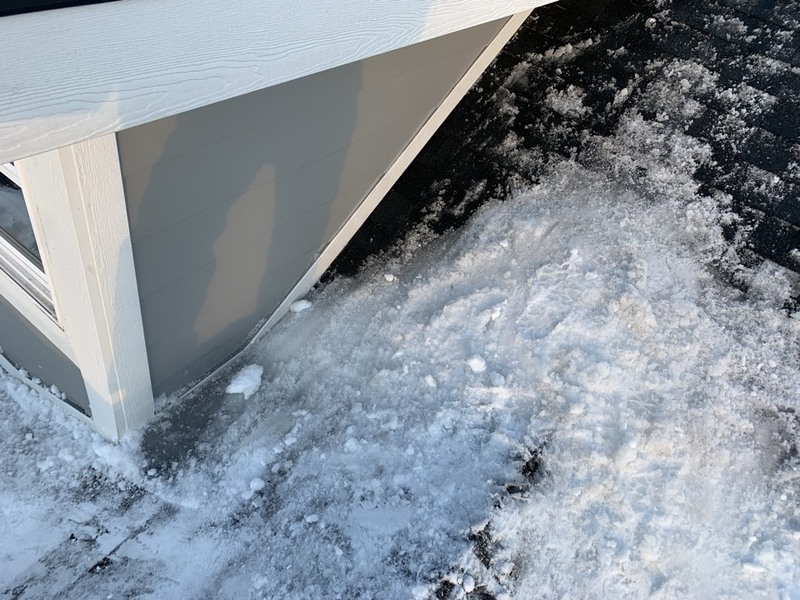 I called Bryan who was able to come clear the ice dam the same day and stayed well after his normal business hours to make sure the job was done correctly. He even took several photos for me to submit for insurance purposes. Extremely nice and genuine person. Seemed very knowledgeable and trustworthy. Would HIGHLY recommend! It took a while to get a call back but I assume that is due to the heavy call volumes from the recent flooding in my area. Once the appointment was set Bryan was on time and very professional. 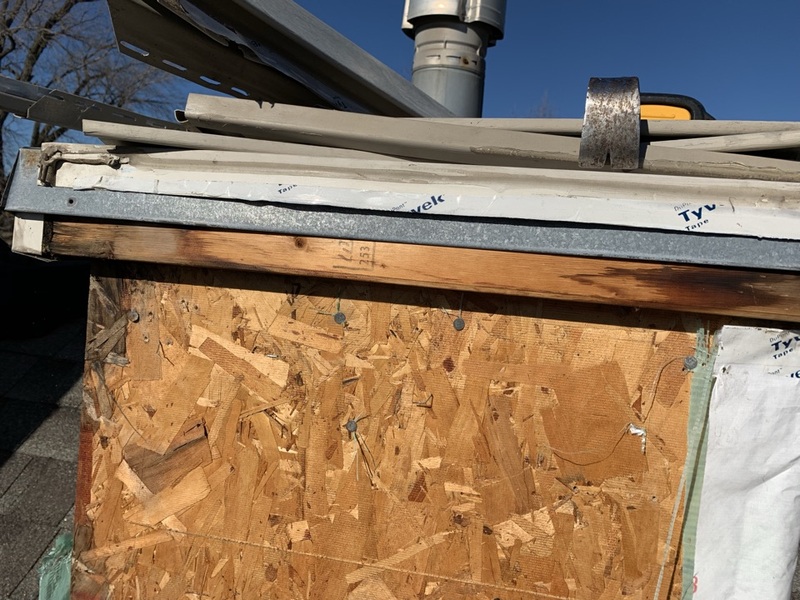 He really inspected the problem and even took pictures to show me what the issue was as he explained the recommended fix. He was able to do the work right then so no additional appointment was necessary. I am VERY pleased and will definitely call them again if the need arises. Really impressed with Bryan Collins and Genesis Roofing. I filled out a job request on Angie's List, and in 3 minutes my phone rang & Bryan was calling me to schedule my repair! He came out soon after to see what needed to be done and then showed me pictures of the areas to be fixed & wrote up a quote. Within the week, he was back & got it done. Again, he showed me pictures of the finished work, and samples of the old vs new, which I really appreciated. Bryan did an excellent job I highly recommend, outstanding service! 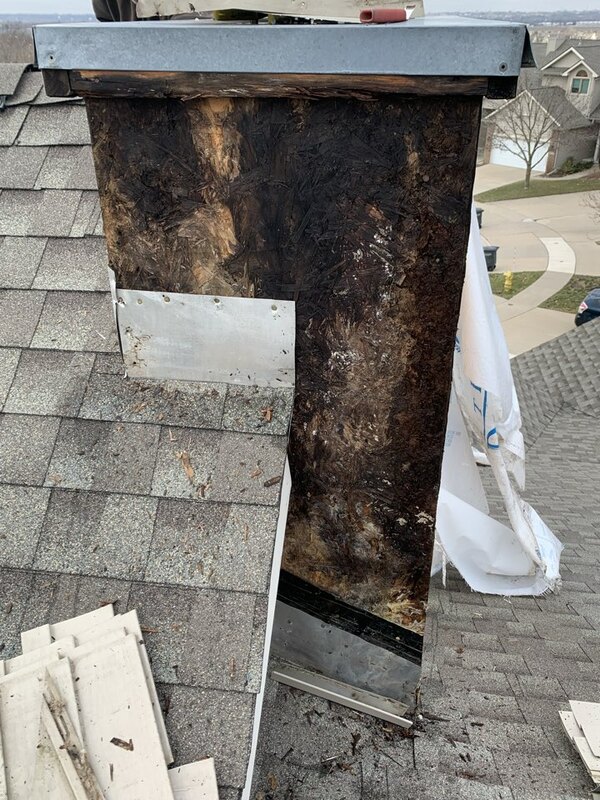 Had a small roof leak from a cracked shingle, Bryan called to make appointment and was attentive in getting this fixed asap. Repairs were quick and done correctly. I could tell Bryan was passionate about his work and attention to detail. I would have no issue calling on them again for future work. 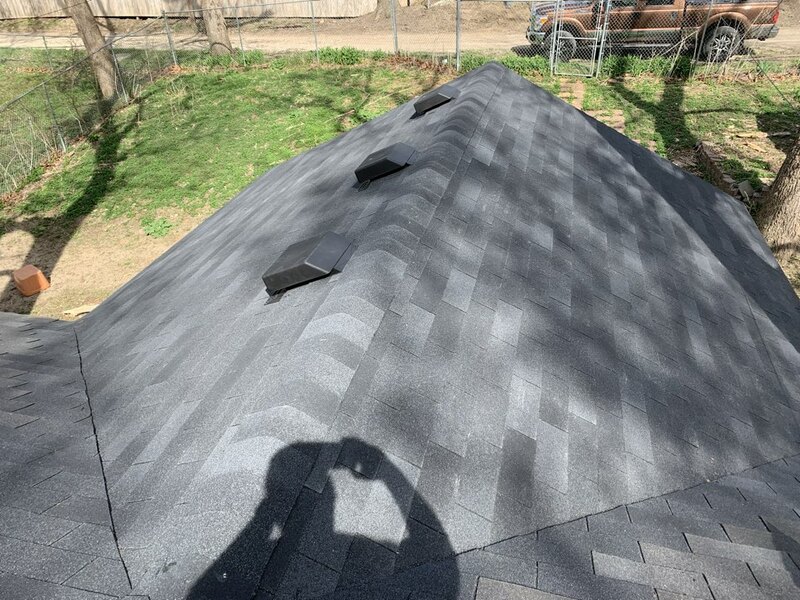 If anyone in the Des Moines Metro area needs a new roof, the only contractor I would give an unconditional recommendation to is Genesis Roofing. From start to finish they were extremely professional, prompt, and very tidy. I'm a repeat customer of Genesis Roofing and my experience with 4 roof installs on 3 houses was excellent. Our 4th experience was due to hail and Bryan did an great job with a huge job late in the season. Price matched the insurance quote from the hail damage claim. They did the complete job, including gutter replacement in a day and a half. We could not be happier with this job. 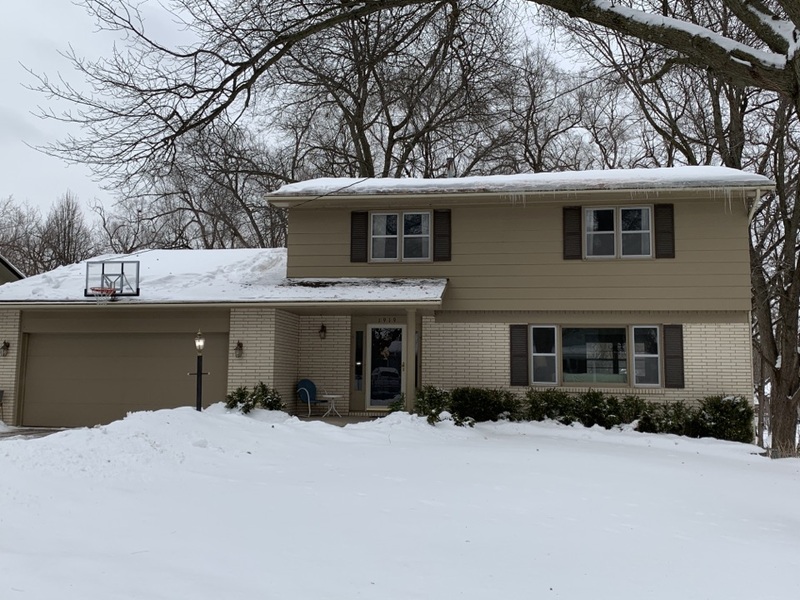 New Roof replacement in Des Moines! Call today for a free estimate! 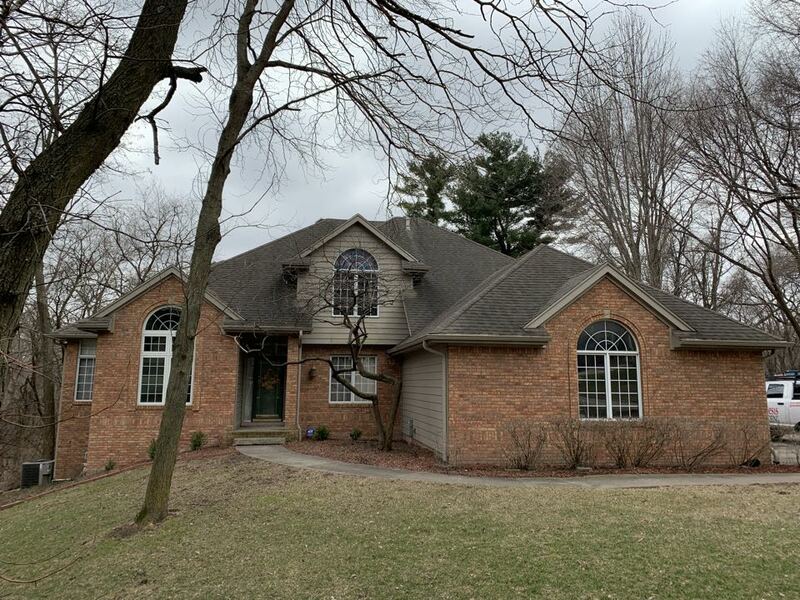 Roof repairs in West Des Moines! Siding repairs and roof repairs in Johnston today! 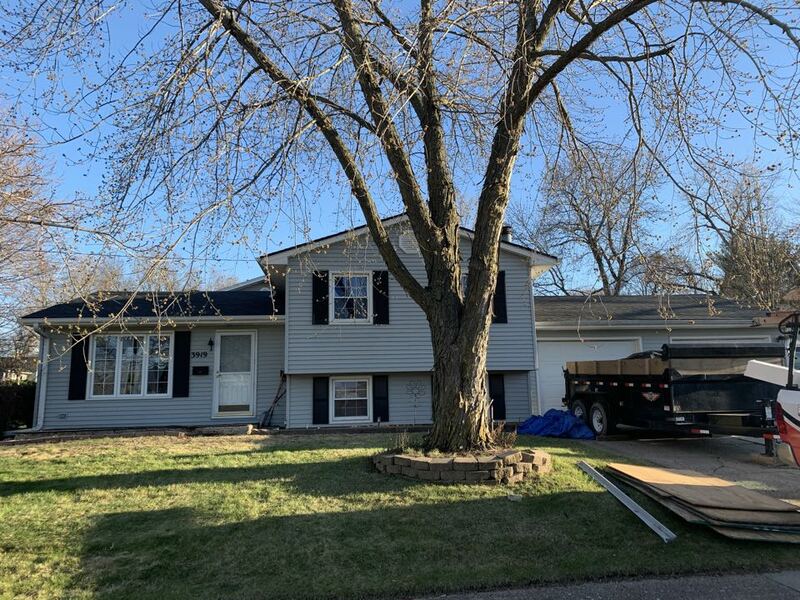 Roof replacement estimates in Des Moines! 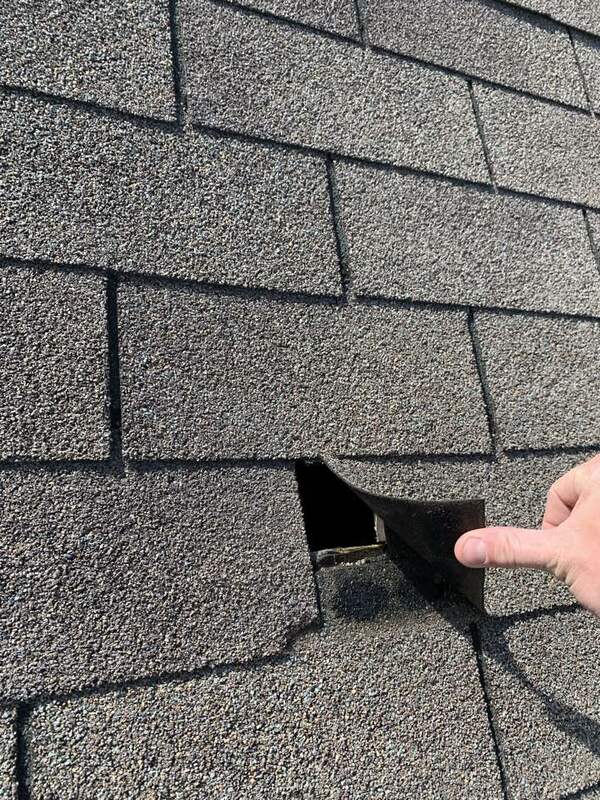 Fixing roof leaks and roof repairs! 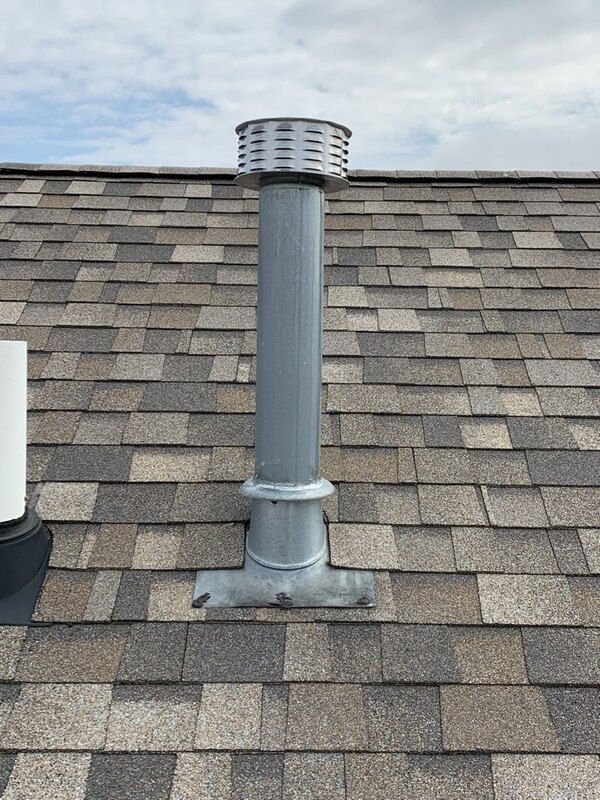 Roof repairs and chimney repairs! This one had been getting wet for quite awhile! 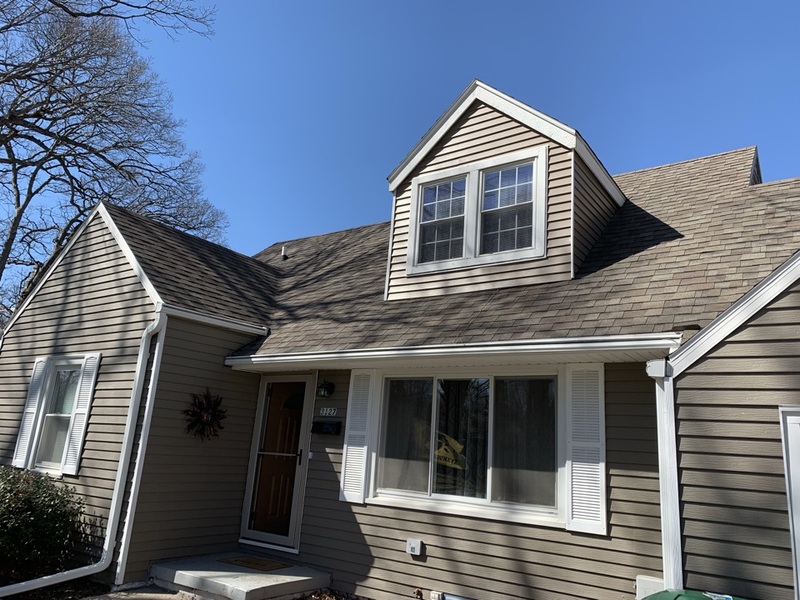 Inspecting roof leaks that were previously incorrectly repaired.. 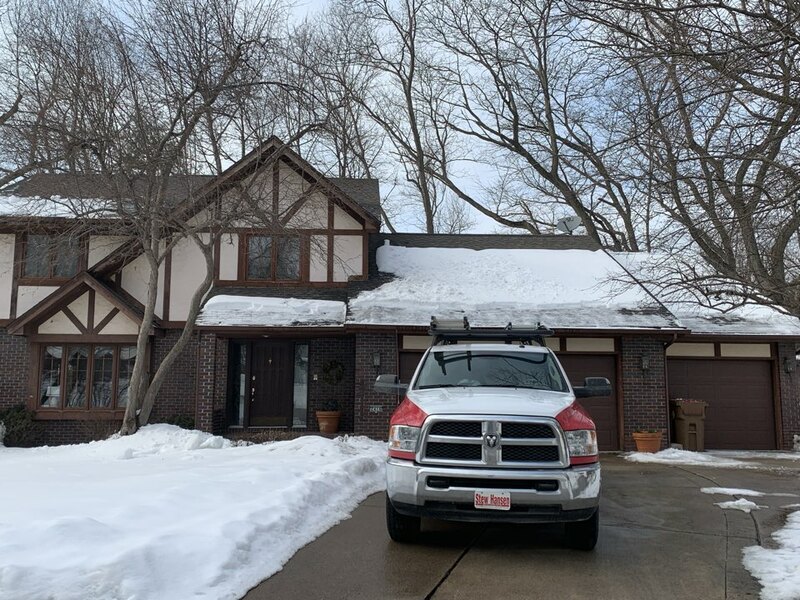 Roof replacement estimate in Clive! 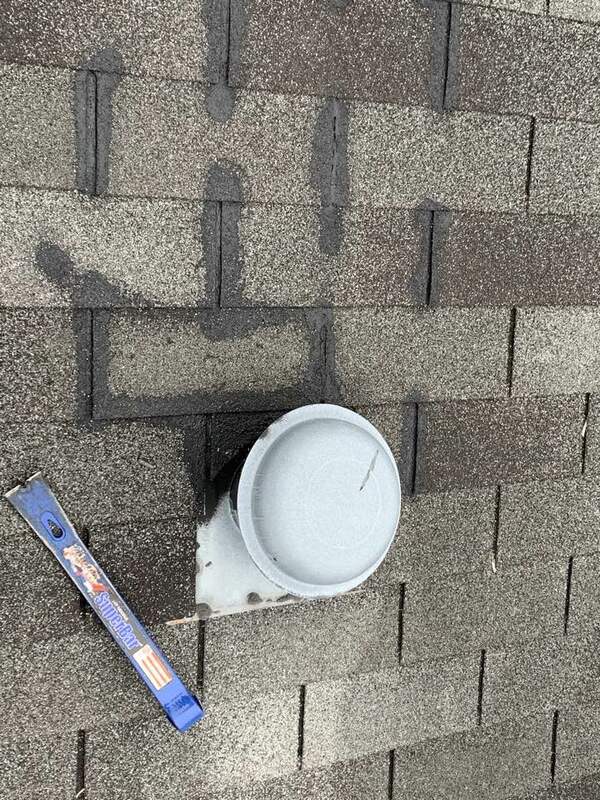 Time for a new roof? Are your shower and bath fans properly vented out of the roof? 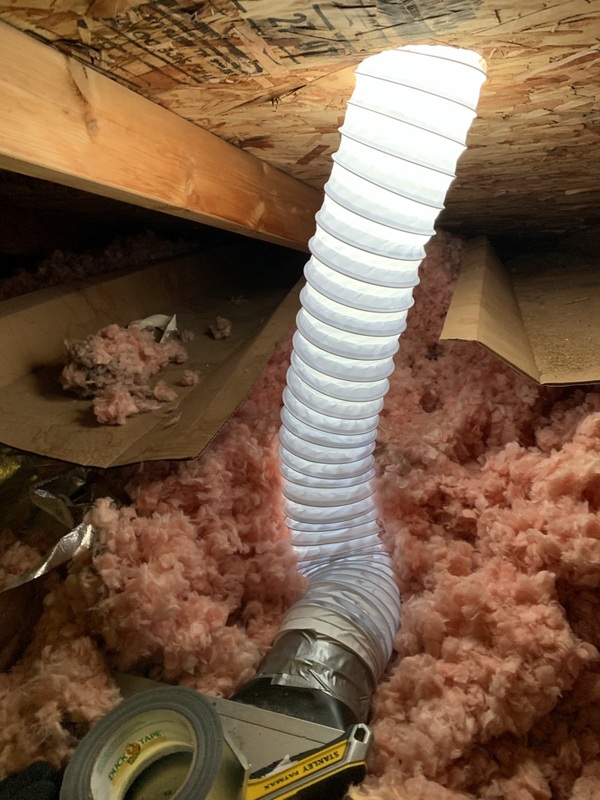 Or are they like most houses pumping moisture into the attic causing leaks and mold? Roof leaks! 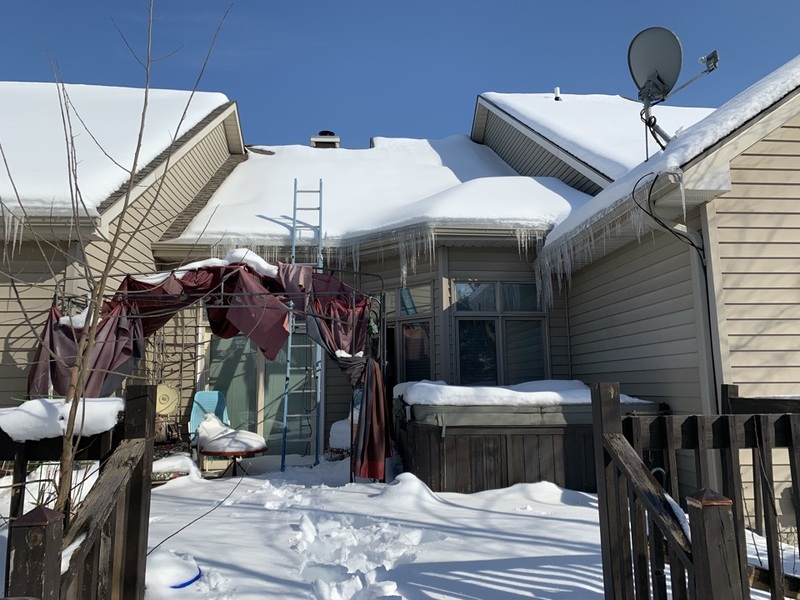 Snow and ice dam removal..
More roof snow removal and ice dam removals! 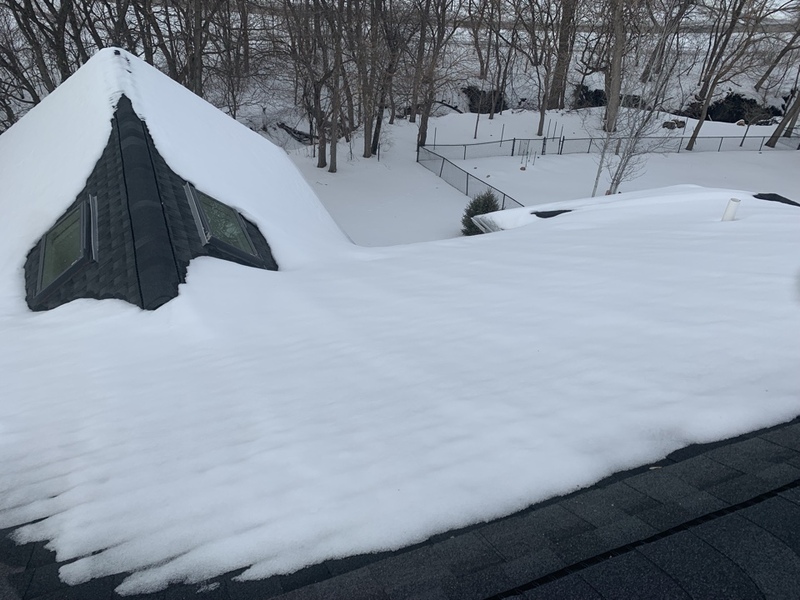 Roof snow removal and ice dam removal! 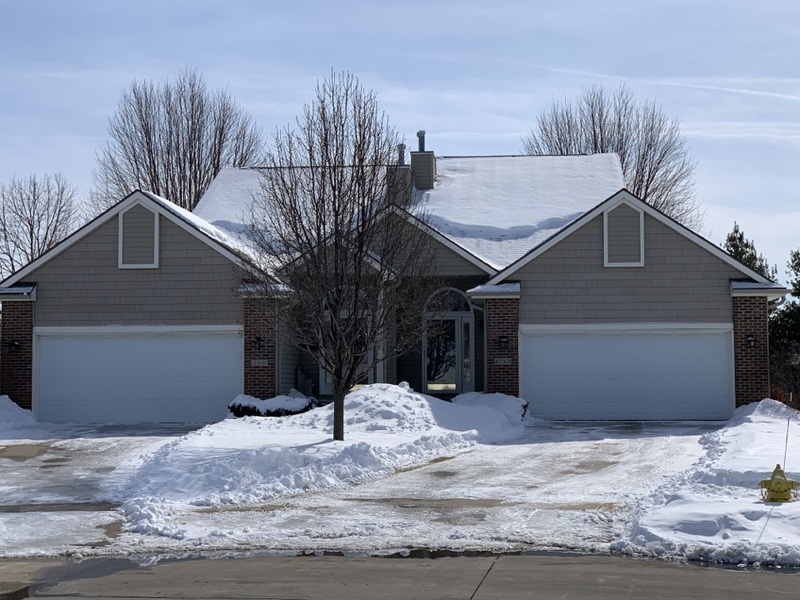 More roof snow removal and ice dam removal! More snow and ice dam removal! Clearing ice dams and doing snow removal from roofs! 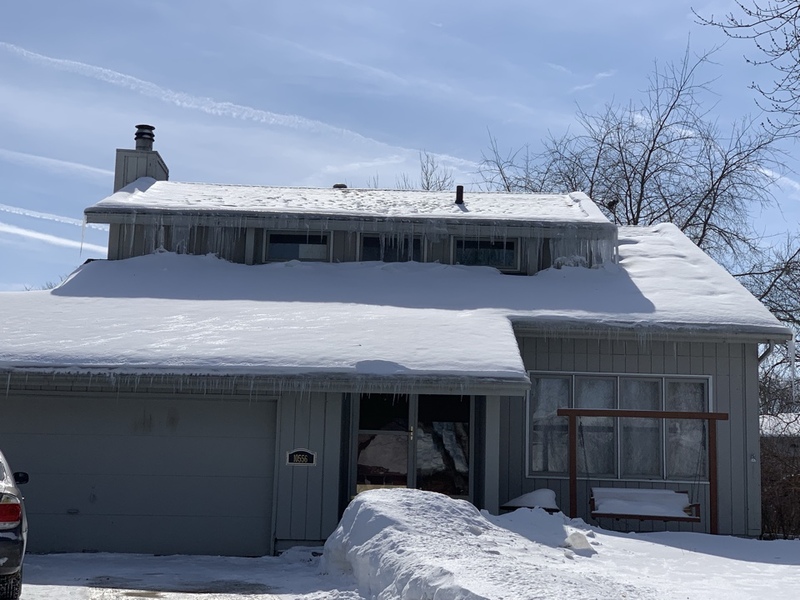 Clearing ice dams and snow from roofs! 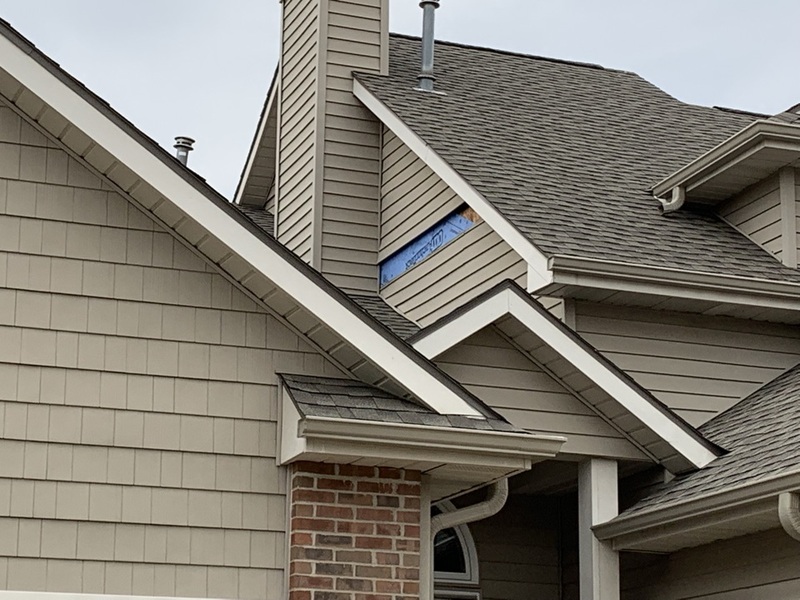 Repairing roof,siding, and chimney leaks in Johnston!